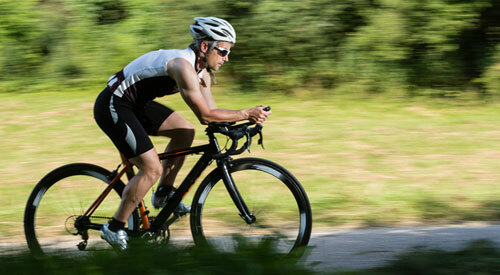 F3 Events - A Beginners guide to Triathlon training! Courtesy of Wiggle! Congratulations: you are about to embark on your latest life challenge – that of swimming, cycling and running yourself to becoming a triathlete. For most it starts with a shorter distance such as a ‘Sprint Triathlon” which consists of a non-stop swim 750m, bike 20km and run 5km. 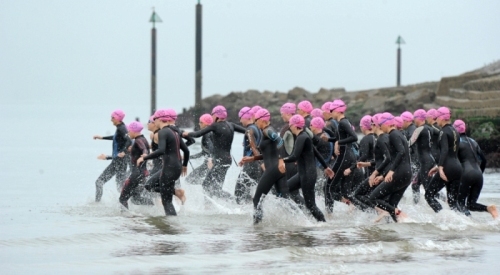 It is possible for someone to train himself or herself to the fitness required to finish a sprint triathlon in around nine weeks, unless they are starting with debilitating factors such as being a ‘non-swimmer’ or ‘very overweight’ for example. Even then, most can complete the training needed, provided they are healthy and in relatively good condition. Although these are very subjective levels you need to use common sense and make informed judgments. Basic Tracking – ‘Rick’s Rules’ NOTE: Put a HRM on and watch heart rates in these three zones. 1. Easy. 2. Steady, 3. Hard (see key for explanation). Write the heart numbers in those zones down when you train, as they will help you measure your performance and ultimately find your five heart rate zones for use in (see intermediate/advanced) programmes. Work out how many minutes each day you can train. For those with limited time combine the workouts: e.g. run to the pool, do a spin class followed by a run etc. In block one the focus is on consistent movement and enjoyment. One session ‘easy’ and two sessions ‘steady’ in all three disciplines. Add 10% to how many minutes each day you can train. In block two the focus is on technique, consistency and endurance. One session ‘easy’, one session ‘steady’ and one session hard in all three disciplines. Vision: – have a vision of what you are trying to achieve. e.g. is it to finish, lose weight, to post a time or perhaps win your local triathlon!! Tracking and measuring. Following a programme can be very useful as it will improve the focus plus quality and quantity of the training. Feedback and plan adjustments: - try to get as much feedback on your technique and plans and be prepared at the beginning to adapt this as you find out how quickly you are developing. A coach would be able to tell you very quickly whether you have set realistic or unrealistic goals. This normally comes in the form of a questionnaire or a conversation. 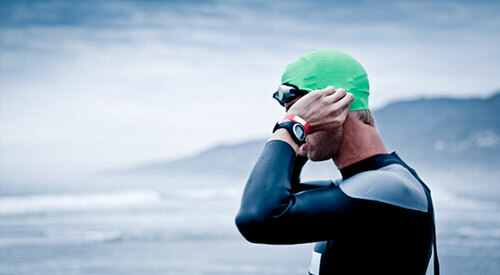 Best case is a face to face, which involves some form of swim, bike run and fitness analysis. To maximize your time spent training you should get yourself a coach – you can get a triathlon coach for as little as £85 a month who can provide plans and offer advice on how to get the best out of your body. STARTER PACK - Competition and training essentials for the novice. Do you feel your weight could potentially be holding you back? Weight and dieting – it is no shock that most of the people get into triathlon because they want to look and feel leaner. However, it is paramount that your nutrition is right, not just when you are racing, but also when you are training. In the novice programme we want to make it simple and easy for you so I have given you ten guidelines to follow. If this isn’t enough information please go to the intermediate / advance level for your next step!